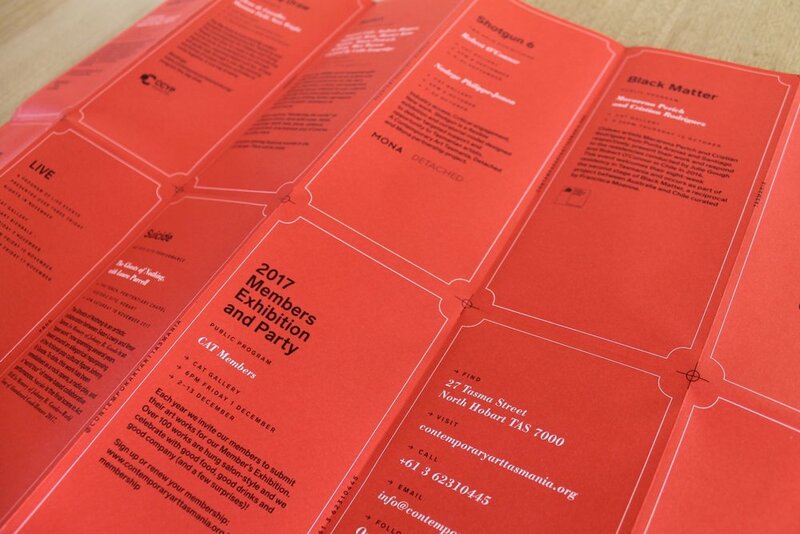 A dynamic, two-colour, bi-annual exhibitions program offset printed on matte recycled stock with concertina style fold. The typographical design uses standard measurements to fit within budget constraints and limit paper wastage. 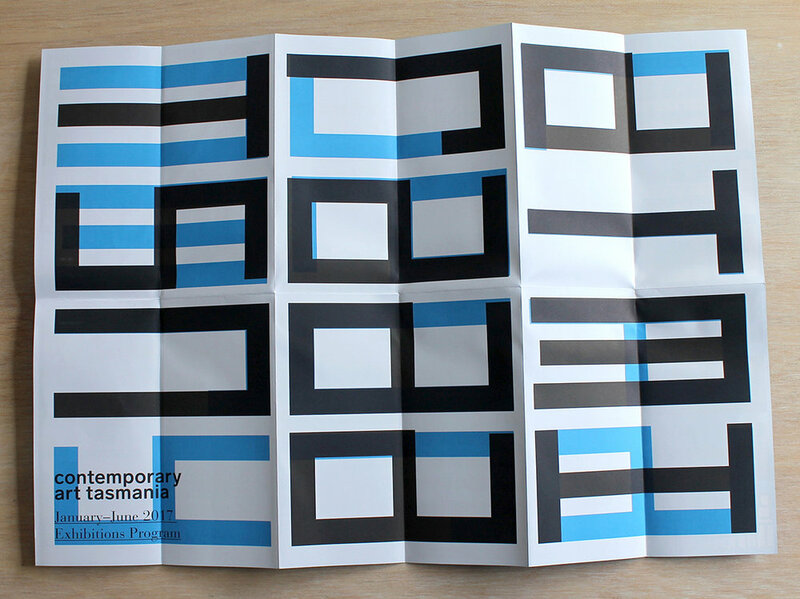 Conceptually, it reworks, and doubles up their existing geometric visual identity within a fixed grid system. Awarded finalist in the 2017 Diemen Awards for 'Design — Brochure, Catalogue, Booklet, Publication' category.